Ultimate flight time upgrade for the Infinite Jib Eye-Droid 6, Eye-Droid 8, SkyJib 8 Elite and 3DR X8+, X8-M. Recommended for heavier payloads. 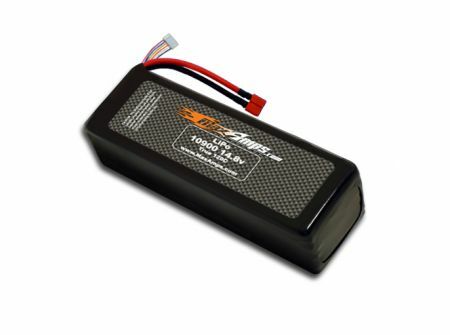 Popular battery pack for Losi LST XXL-2E 1/8 scale Monster Truck. Great Product as I get over 30 minutes of run time on my 8S Losi DBXL-E. This battery fits the stock battery tray perfect. Nice battery. Well built. I just started using this battery but I have 2 11,000mah 40c and the 10900 100c stays cooler.